How Can Aromatherapy Help Improve Your Chakras Health? 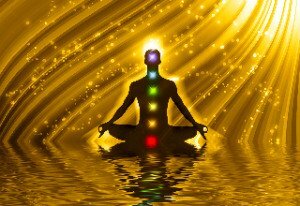 Why chakras? Over the years, much of the aromatherapy work I have done has been with people who come to a local yoga retreat.....and they were often talking about their 'chakras', and how they were out of balance! Of course this piqued my interest....what exactly did they mean and how could I use aromatherapy to help? So......I began my research at a workshop being held at the yoga retreat (thank you Chantal!). I found it very intriguing, so I then set out to learn as much as I could about the different chakras, and how essential oils could help with balancing and healing. It was all extremely interesting. Before discovering how aromatherapy can play a part, we have to understand a little about these 'energy centres' themselves. I shall try to keep it all as simple as possible. Here goes......the word chakra comes from Sanskrit, an ancient Indian language, and means 'wheel' or 'spinning'. It is believed that they are centres of life force energy, or light, responsible for the health of our mind, body and spirit. They are key to the flow of life energy, called prana, that vitalises us. They are not actually physical, but are aspects of our consciousness. Some yoga philosophies follow the ideal that there are seven main ones and some believe that there are six, each spinning at different frequencies. The lower three relate to our physical side and the upper three (or four) to our spiritual side. They start at the base of the spine and move up to the crown of the head and are relevant to different parts of the body. Each chakra has a specific meaning, a colour, a sound, an element, an animal and essential oils associated with it. This is where the aromatherapy comes in.....the belief is that, through essential oils, energy can be generated for the chakra to keep it healthy and balanced. Sometimes one, or more, of the main chakras can be out of balance, or the energies flowing through them may be blocked. When this happens it has an effect on our health either physically, mentally or emotionally. Using essential oils can help stimulate the 'energy centres' and bring them back into balance. The most useful essential oil of all is lavender, which can be used to energise and balance all seven. Diffuse a selection of one or more essential oils beneficial for the chakra(s) you wish to work with. Diffuse the oils while relaxing, meditating or practising yoga. Or listen to some peaceful music! Use aromatherapy massage for a very powerful way of connecting with the chakras and helping to unblock energy flow. Use the appropriate oils in baths or with compresses. Though inhalation methods - especially to help decongestion and respiratory problems. Use whichever method is best for you! Many of the essential oils associated with each chakra overlap, so it may be a good idea to keep notes on which oils and blends you use for each one. Remember also that people do react in different ways to essential oils, so it is important to use your intuition and to try different blends! Also known as the root, this first one is considered to be the most important of all, especially when dealing with healing work. It is to do with stability and being grounded. It is situated at the base of the spine in the lumbar region. The sacral is the centre for our sexuality and creativity. It is located about 5cm below your belly button. This third energy centre is about your emotions and self-respect. It is located beneath your breastbone and behind your stomach. This centres on love and compassion and is situated at the level of your heart. This is located at the neck and is the centre of communication through thought, speech and writing. This is sometimes referred to as 'The Brow' and is situated just above your eyebrows. It is centred upon intuition and intellect. The last of the seven is the centre of enlightenment and spirituality. It is found at the crown of your head. So.............this is how aromatherapy can help improve your chakra health!